Tripod ladders offer unparalleled stability. Their wide footprint, strong frames and micro-adjustable legs make them suitable for use on uneven terrain, and they can even be set up to work on steep slopes. 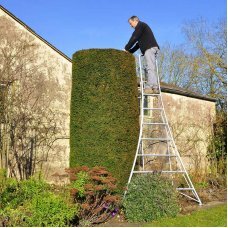 High-quality tripod ladders are also lightweight and manoeuvrable, which means that they’re ideally suited to any gardening task that requires a bit of extra reach. 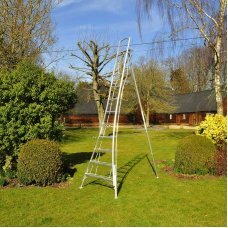 From pruning trees to picking fruit or painting your garden fence; these versatile and user-friendly ladders will work in any space, and you’ll be able to carry them from place to place on your own too. What makes a Tripod Ladder safer than a normal ladder? Three is the magic number! Provided you ..
What makes a Tripod Ladder safer than a normal ladder Three is the magic number! Provided you c..
What makes a Tripod Ladder safer than a normal ladder?Three is the magic number! Provided you can ..